• Death, 27 Nov 1893, Bournemouth, Hampshire, England. DEATH OF FREDERICK NETTERVILLE LE POER TRENCH. ESQ., Q C.
With very sincere regret we print the announcement of the death of the above gentleman. He had been of delicate health for some months past, suffering from some affection of the lungs, and was in consequence obliged to seek rest and change from the official duties, and was sojourning in Bournemouth when on Friday morning he died there rather unexpectedly. Mr Trench was only in his 49th year, and for over twenty years was on the Connaught Circuit, of which he was one of the most distinguished members, he was well known to the people of this province, and most particularly to those in his native county. The deceased was the second son by his second marriage of Admiral Trench, who was third son of William Power Keating Trench, M P for this county from 176* to 1797, and who was elevated to the peerage in 1797 by the title of Baron Kilconnell of Garbally, and in 1801 created Viscount Dunlo, and advanced to the Earldom of Clancarty, Co Cork, in 1803, in consequence of his descent from Elena McCarthy, wife of John Power, daughter of Cormac Oge McCarthy, Viscount Muskerry and sister of Donagh McCarthy, Viscount Muskerry, and sister of Donagh McCarthy, Earl of Clancarty in the time of Charles II. Admiral Trench was first in 1800, married to Sarah daughter of John Loftus Cuppage, and his eldest son was William Trench D D, Prebendary of Tuam and Rector of Moylough, whose daughter married the late W J Digby of Moate. By his second marriage in 1837, to Margaret, daughter of Dawson Downing and widow of Arthur Handcock, son of Richard, second Baron Castlemaine, Admiral Trench had issue: - Frederick Netterville, just deceased and Harriette Mary, who in 1864 was married to Charles Dennis O'Rorke, of Clonberne Park. The Admiral died in 1846. His second brother was the universally respected Archbishop of Tuam, who was married to a daughter of Walter Shaw Taylor, of Castle Taylor, and who was along with the late Bishop Bernard, the most popular prelate that ever filled the Protestant See of Tuam. 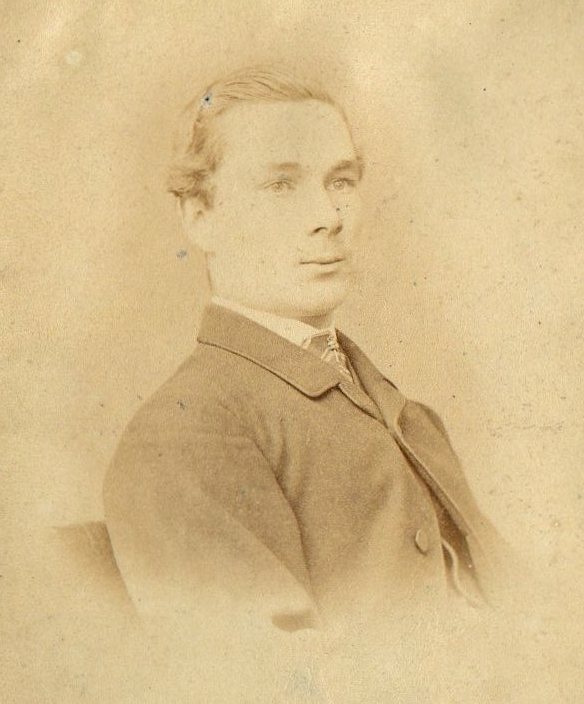 The Late Frederick Netterville Trench was married in 1878 to Sarah Frances, daughter of the Rev John F T Crampton, Rector of Aughrim in this county, and leaves with his attached and devoted widow to deplore his irreparable loss four promising children, namely, William Netterville, born in 1882; Margaret Louisa, born in 1879; Emily Frances, born in 1881; and Eileen Mary, born in 1883. Mr Trench was called to the Irish Bar in the Michaelmas Term of 1868, and was called to the Inner Bar as Queen's Counsel about ten years ago. He was the Crown Prosecutor for the Counties of Galway and Sligo up to 1891, and in those positions he eminently distinguished himself by a fair-minded impartiality that never was equalled on the circuit. During the last year and a half he was legal Commissioner under the Land Act, and his decisions were marked by all the characteristics of a high judicial mind and temperament that would have adorned the highest posts in the land. From an early period of his career at the Bar he displayed abilities and qualities which soon tended to render him in what was then the keen competition of equal merit, unsupported by the methods of latter day tactics, one of the soundest and best opinions of his time and rank. He was remarkable for possessing an excellent judgement, a sound knowledge of law, and a wide knowledge of men and things. His superior talents were soon recognised, and he was early entrusted with many important and responsible duties - the most noted being his appointment as joint Commissioner, with Mr Justice Day, of the Belfast Riots Commission, where his conduct was such as to gain the respect of every person engaged in the troublous investigation. A more genial, generous-souled man it would be hard to find, one gifted with all the noblest feelings of a true gentleman, that nobility of character so natural and unaffected that never stooped to a trick or knew a twist or turn from the straight path of duty. Unassuming and unpretending, he lacked, perhaps to his loss, those adventitious aids which come from the pushing parade of personality, that with shallow minds are supposed to be the marks of ability and the real evidences of talent. With the members of his circuit he was an especial favourite, with the profession generally equally popular; and the sad intelligence of his untimely death came to every one who knew him with a peculiar poignancy of a personal sorrow, for all felt that a good genial fellow had gone to his reward a man in every respect worthy of esteem. The greatest sympathy felt for his bereaved widow and young family deprived so early of an attached husband and fond father, but if anything can bring consolation to them in their great sorrow, it will be the consciousness that the lamented dead carried with him to the grave the sincere respect and regard of everyone who knew him or even knew of him, and left behind a name such as should make them proud of his memory - a name associated with noble, self-sacrificing actions and upright conduct, a memory sweet with all the genial, generous impulses of a fine nature and a splendid character. Few can this be truthfully said of, but that it applies to the deceased no one who knew him will deny. The remains of the late Mr Trench were conveyed from Bournemouth to Tuam Railway Station where they arrived by the 2.40 p m train on Wednesday last where and when a large crowd of sympathising and sorrowful friends and relatives were waiting to testify by their presence the high esteem in which the deceased gentleman was held by all whose forte it was to come within the sphere of acquaintance. It may be here stated that the last time Mr Trench visited Tuam was when some few years ago he appeared at the Inquiry on behalf of his brother-in-law, Mr O'Rorke, the landlord of the property in which the Reservoir of the Tuam Waterworks is situated. Amongst those present to receive the remains, which were encased in a splendid oak coffin at the Railway Station, on Wednesday afternoon, were Right Rev Dr O'Sullivan, Lord Bishop of Tuam; Rev Mr Atkinson, C D O'Rorke, D L (brother-in-law); P J Conway, J P; H J Concanon, solr; J J Quinn, solr; M C Shine, T C; L Burke, T C; P M Hosty, solr; M P Hosty, P Whelan, Wm Quinn, etc, etc. After the arrival of the train the remains were conveyed to St Mary's Cathedral, Tuam, where they reposed during the night, pending the funeral on the following day. On Thursday after a solemn Requiem Service in the Cathedral, the Right Rev Dr O'Sullivan and the Archdeacon of Tuam officiating, the coffin containing the remains was conveyed at 12.30 from the precincts of the Cathedral and placed in the hearse (supplied by Mr P Corcoran, Tuam). Previous to that hour, although the day was an exceptionally inclement one, the muster of carriages, horsemen and pedestrians outside the Cathedral gates was a dense and long-extending one. The coffin was covered from view by beautiful floral wreathes, amongst the most conspicuous being a beautiful one from the members of the Connaught Bar, which, composed of the rarest flowers (immortelles, roses, etc) was a most fitting and telling testimony to, as well as a merited recognition of, professional esteem and brotherly regard. This wreathe was a masterpiece of the florists' art, and the card accompanying bore the simple inscription, "In affectionate remembrance, from the members of the Connaught Bar". Beside this there were also several other beautiful wreaths, which, by the choiceness and taste of their selection, spoke eloquently of the regard in which the deceased was held by those who were joined to him by affection and by blood. As the "cortège" slowly made its way from the principle gate of the Cathedral, with its long line of vehicles of all kinds, the contingent of the Clonberne tenantry on horseback and mourners on foot, it was a most solemn and impressive sight. As the sad procession approached Clonberne a large number of the tenantry on the estate of Mr O'Rorke and the parish generally, who were unable to be present in Tuam, turned out to meet it, with whom could be noticed the Rev John Concanon, P P, Clonberne; Rev R W Murphy, Rector of Ballinlough; Chris Mulvony, C E, Castlerea; Robert K Digby, Esq., Moate Lodge, and many others. And as the shades of evening succeeded the short sad November day, the remains of the late Mr Trench, who had in public life by his abilities and prowess at the bar, won for himself a name and fame that will be lasting, and in private life a character for gentleness and geniality that shall but slowly fade, if ever, from the mournful recollection of his numerous friends, were solemnly laid in the family vault in Clonberne Park. The chief mourners were - Denis O'Rorke, Charles Denis O'Rorke, Charles Trench O'Rorke, Esqrs; Miss O'Rorke and Miss Ethyl O'Rorke (who occupied the two carriages immediately following the hearse). Amongst the carriages present were those of Dr O'Sullivan, Lord Bishop of Tuam; P B Bernard, D L; R W Waithman, D J Kirwan, J P; James McDonnell, S J McDonagh, J P; The Rev the Dean of Tuam. There were also present - P J Conway, J P, Henry Kirwan, J P; J J Quinn, Solr; F J McCormack, Solr; P M Hosty, Solr; M P Hosty, M C Shine, Elmond Concanon, M S Walsh, John O'Flanagan, J P Gannon, TUAM HERALD; Mr Cheevers, Mr Freney, etc, etc. 3 Peter Kenelm Wingfield Digby (RIN. 3607), Exeter, England [(E-ADDRESS) FOR PRIVATE USE,] to Ryan John Kriste, e-mail, 04 Nov 2006, "Third Cousin"; privately held by Kriste. 4 Peter Kenelm Wingfield Digby (RIN. 3607), Exeter, England [(E-ADDRESS) FOR PRIVATE USE,] to Ryan John Kriste, e-mail, 30 Sep 2011, "Re: Children of JFT Crampton"; privately held by Kriste. 5 Evelyn Mullally (Dr.), editor, Clonbern Graveyard - Its Monuments & People (Belfast: The Follies Trust, 2011), Pg. 25. 6 Lisa Calder (RIN. N/A), Narrabeen, Australia [(E-ADDRESS) FOR PRIVATE USE,] to Ryan John Kriste, e-mail, 19 Aug 2009, "RE: Irish Staveley's - Crampton"; privately held by Kriste, [(E-ADDRESS) & MAILING ADDRESS FOR PRIVATE USE,] Royal Tunbridge Wells, Kent. 7 Holy Trinity Aughrim (Aughrim, Co. Galway, Ireland), "Birth Records"; Aughrim Rectory, Ballinasloe. 8 Holy Trinity Aughrim (Aughrim, Co. Galway, Ireland), "Baptism Records"; Aughrim Rectory, Ballinasloe. 9 Lisa Calder (RIN. N/A), Narrabeen, Australia [(E-ADDRESS) FOR PRIVATE USE,] to Ryan John Kriste, e-mail, 19/08/2009, "RE: Irish Staveley's - Crampton"; privately held by Kriste, [(E-ADDRESS) & MAILING ADDRESS FOR PRIVATE USE,] Royal Tunbridge Wells, Kent.